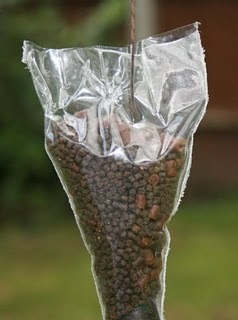 Solid PVA bags are excellent for getting a wide verity of baits and liquids out into the swim with your hook bait. 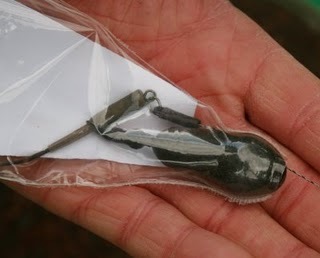 However, when fishing at range, PVA bags can be problematic. The first problem is making a solid bag tight and aerodynamic such that it flies straight and true. The second is ensuring the bag is strong enough to withstand the cast and landing in the water as well as melting quickly enough once on the lake bed. The Fishing Bag Company makes a PVA distance bag that overcomes all of these problems. 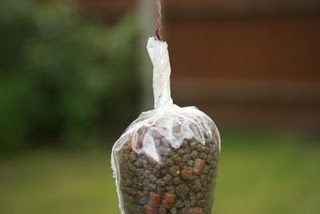 Lets have a look at how to use PVA distance bags. Three sizes of bags are available. 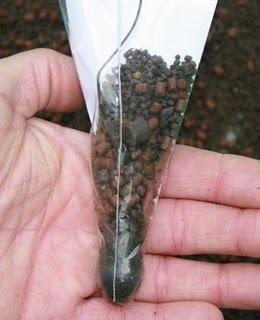 Here we have the small and medium size conical distance bags. Notice the card liner in the bag - this helps support and hold the bag open whilst we are loading the bag with our bait in this case pellets. 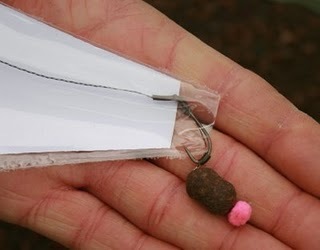 Pass your baited hook through the hole in the bottom of the distance bag. Use a Korda distance lead mounted on a Korda run rig rubber slid over a lead core leader that has a size 8 swivel on the end. Pass the lead into the distance bag and push into the small opening in the bottom of the bag. 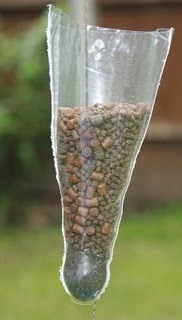 Now start filling the bag with your chosen bait, in this case simple mixed pellets. See how the card supports the bag thus aiding the filling of the bag. Fill the bag to about 3/4 full. Remove the filling card and pull the leadcore such that it sits centrally in the middle of the distance bag. 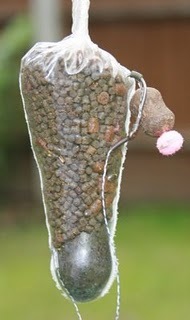 Wet your finger and rub it around the inside of the PVA distance bag. With the bag slightly wet now push the sides of the bag onto each other. Now wet the outside of the distance bag and start to twist the bag top. Keep twisting until the bag is tight. 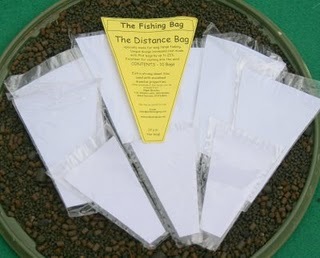 With the top of the distance bag fully sealed and the bag nice and tight, bring your hook up to the side of the bag and nick the rig into it. All that's left to do is to cast this effective rig into the horizon to those unsuspecting carp.